A range of 68mm Eurovudas log cabins manufactured using the very best kiln dried white pine available. This range is now FSC certified, indicating that any wood used is sourced from responsibly managed forests. 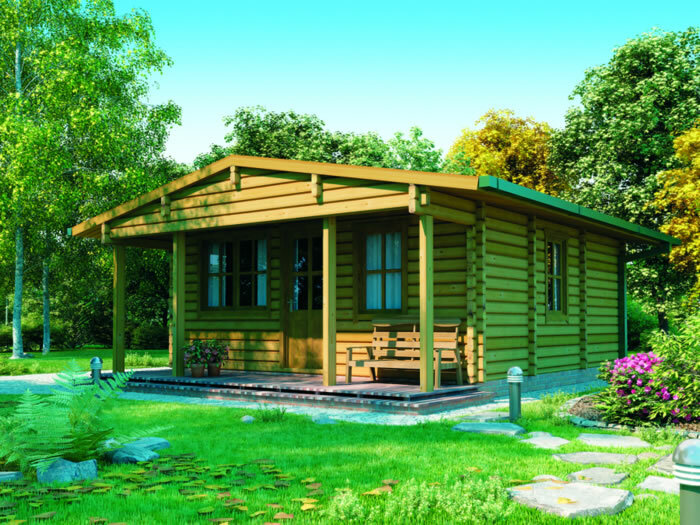 These cabins are available in a range of sizes from 4x4m (13'1 x 13'1) up to 6x9m (19'8 x 26'9). 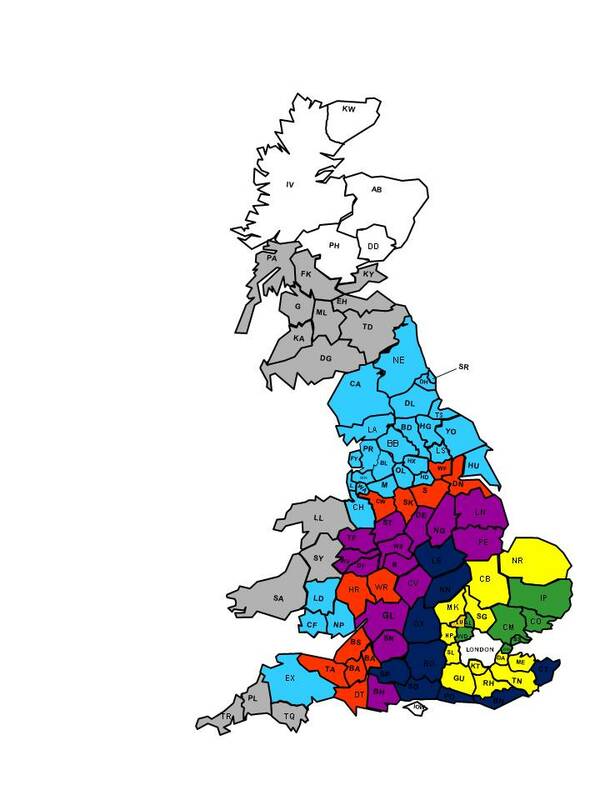 This range is suitable for residential or holiday use and features double glazed windows and doors. 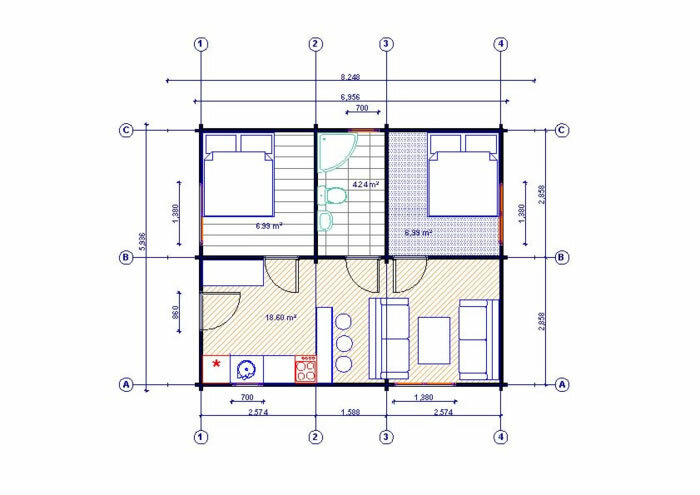 There are many options available for these cabins to adapt specifically to your requirements, such as, various styles and colours of roof shingles, shutters and verandas. 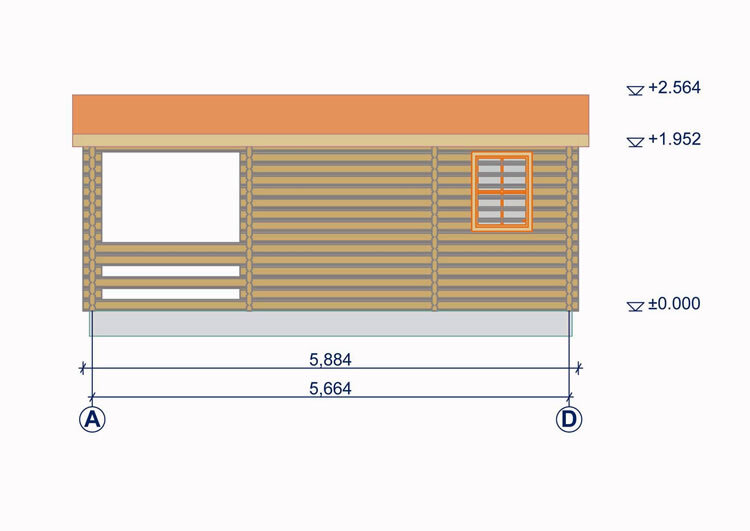 Manchester log cabin measuring 4x5.85m manufactured from 68mm logs includes attractive terrace perfect for relaxing under. Plymouth log cabin measuring 4x4m (13'1 x 13'1) built using 68mm logs and ideal for providing additional family living space. 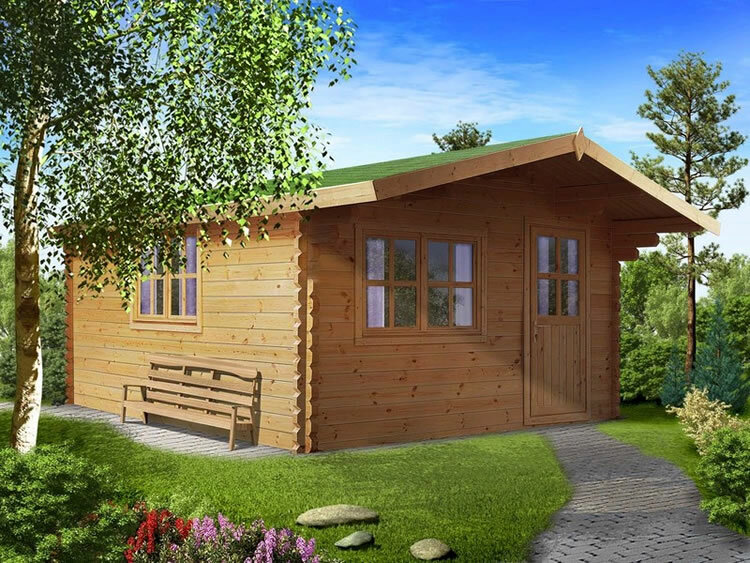 The Plymouth log cabin measuring 4x5m (13'1 x 16'4) is ideal for use as a garden office or to provide additional living space.